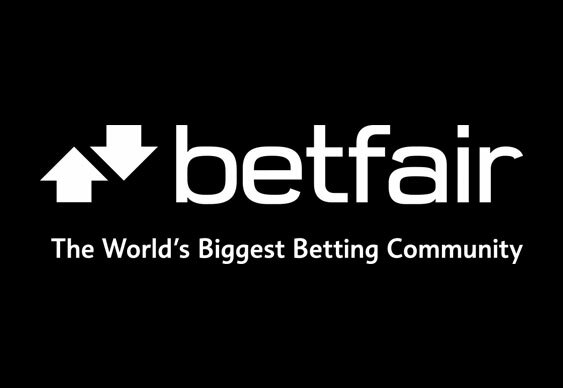 Betfair is one of the world’s most instantly recognisable and widely respected names in online gaming and sports betting. Though primarily known as a bookmaker, Betfair also offers a complete range of online gaming assets, including a casino, poker room, virtual sports and so much more besides. In this article, we’ll be taking a closer look at the Betfair deposit and withdrawal process, explaining how to get money into and out of your Betfair account. In terms of Betfair deposits, getting money into your account is a very straightforward process and can be made using multiple payment types. Credit and debit card payments continue to be the most popular choices, but Betfair PayPal deposits are becoming more popular all the time. You must first have an active account with Betfair and log in using your details. Access your Main Wallet and choose the Deposit option. Enter the required information, including payment type and amount. Check if you are eligible for a deposit bonus. The funds are transferred into your account instantly with most payment types. Access your Main Wallet and select the Withdraw option. Choose your withdrawal method and enter the required information. If this is your first withdrawal, proof of ID may be requested by Betfair (see more information on this below). The Betfair withdrawal will be processed and the funds transferred. What are the fees of transfer (for deposit & withdrawal)? Are there any? Interestingly, Betfair deposits made by way of credit cards attach a standard fee of 1.5%. This is relatively rare across the online betting and gaming business in general, as the vast majority charge nothing for use of credit or debit cards. Betfair deposits made by way of debit cards are free. It’s also interesting to see Betfair PayPay also attaching a fee of 1.5%. Most other payment types are accepted free of charge, while all Betfair withdrawals are processed with no fees or commissions. At the discretion of the company, Betfair may request that proof of identity be provided by any given customer before being able to make their first Betfair withdrawal. Should this be the case, a scan or photograph on an official form of ID must be submitted, in order to verify that the account is legitimately the property of the player. Accepted forms of ID include passports, driving licenses, government-issued ID cards and recent utility bills. If accepted, ID will not have to be provided for any subsequent Betfair withdrawals at any time. You may also have to complete this process when you sign up to the operator. If you’ve not done this yet, why not sign up with a Betfair promo code? Betfair makes things extremely easy and flexible for its customers when it comes to minimum accepted deposit and withdrawal amounts. For most payment types, there are no minimum limits at all on withdrawals – the minimum Betfair PayPal withdrawal is set at just £1. In most instances, Betfair deposits can be made from as little as £10, which falls to just £5 for Betfair PayPal deposits. This makes Betfair a great choice for recreational gamblers, who may not wish to put a great deal of money on the line. Most Betfair deposits are processed and credited instantly, with the exceptions of bank wire transfers and personal cheques. However, even with these two payment types the processing periods aren’t too long – up to 10 working days as an upper-limit. In terms of Betfair withdrawals, credit and debit card payments are processed and completed instantly. Betfair PayPal withdrawals are also instant, while bank transfers and personal cheques take a little more time. It is usually not possible to cancel a Betfair withdrawal as the vast majority of withdrawals are processed instantly. However, it may be possible to cancel a withdrawal request for a bank wire transfer or personal cheque, due to the extended time required to process the request. Cancellations will be accepted only at the discretion of the company and under the conditions that the transfer of funds is not yet under way. Betfair doesn’t accept quite as many international currencies as some of its rival operators, though still covers most bases with UK Sterling, Euro, US Dollar, Hong Kong Dollar, Australian Dollar, Danish Krone and Swedish Krona. Yes, although fees and transfer times differ from one country to the next. In addition, Betfair PayPal payments are only accepted from customers residing in certain countries. The Betfair customer service team has an unrivalled reputation for delivering outstanding customer care standards across all gaming and gambling products available. The team at Betfair is available around the clock, with most communication being handled via the central hub at www.en-betfair.custhelp.com/app/home. Telephone lines are open from 7:30am to 12:30am – simply call 0344 871 0000 from the UK or 1800 944 000 from Ireland. The postal address for the company is Betfair Customer Service, Icon One, Lytton Way, Stevenage, Hertfordshire, SG1 1AG, United Kingdom and emails can be sent via the ‘help’ console available via the above address. Live chat is available on a 24/7 basis throughout the year. If you want a complete overview of what the betting experience is like, take a look at our ultimate Betfair review.